the genus clivia belongs to the amaryllidaceae family and contains six species. 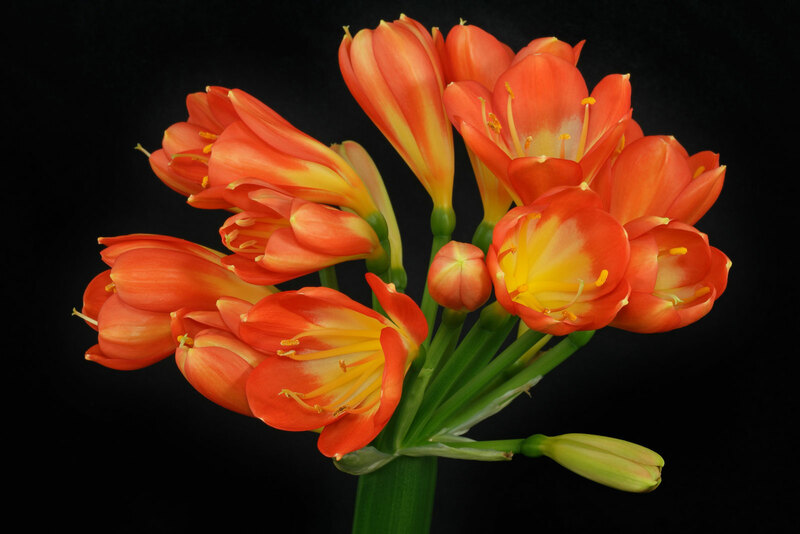 the bush lily (clivia miniata), also known as kaffir lily is native to south africa. there are cultivars with red, orange or yellow flowers available. the bush lily likes a bright but not sunny location, a light shaded place will be tolerated. the soil should be well drained, you can use a standard potting soil mixed with some sand (3:1). keep it moist but not wet. water running out of the pot’s hole should be removed after a few minutes. let it moderately dry before watering next. clivia miniata can be fed monthly during summer, with a half concentrated water soluble fertilizer. in winter the bush lily can be placed at 12-16 °c (54-61 °f). it now has to be kept moderately dry without fertilizing. blooming time is in spring. the bush lily (clivia miniata) can be propagated by seeds. older plants can be divided.